Happy New Year everyone! It’s so cliche, but isn’t it hard to believe we’ve already crossed over into 2011? Yikes. But yay! It’s going to be a good year. Let’s start the year off with something extraordinarily gorgeous: A giveaway with Mignonne Handmade! Her pieces are so so pretty. 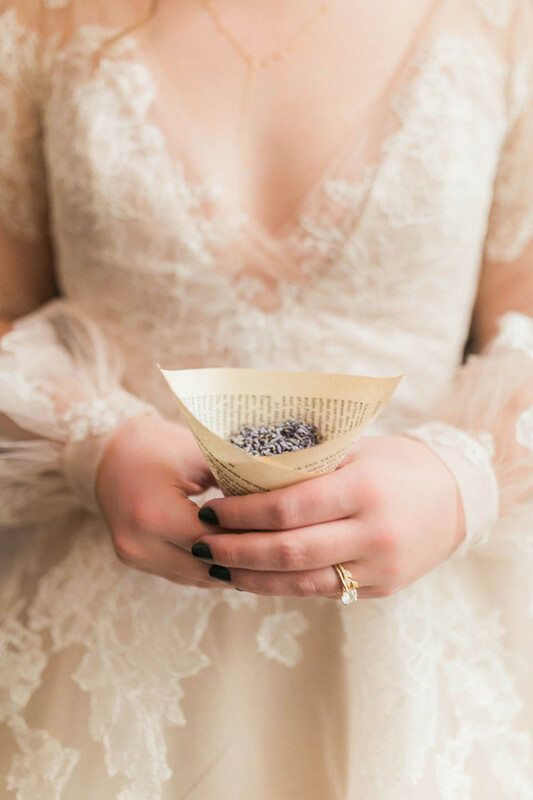 And each petal is hand cut and hand dyed, pressed with a vintage milliners iron and sewn together into a perfect flower. This is serious handmade business. Just leave a comment to enter! The winner, chosen at random later this week, will have their pick of one of the pieces shown above. Her pieces are also available for purchase from her Etsy shop and through FashionStake. **update: The winner is Breanne! Congrats! We’ll be in touch with you shortly.. Happy New Year! These are gorgeous! oh my! I couldn´t choose one! How beautiful, mesmerizing and simple all at the same time, they remind me of wanting to be a flower fairy when I was young. Wow these pieces are BEAUTIFUL!! and will totally go with my vintage themed wedding next July!! Going to check out her etsy store now!! happy new year everyone! this is such a great giveaway! I love every piece!!! ooh i love them all! These are so dreamy! 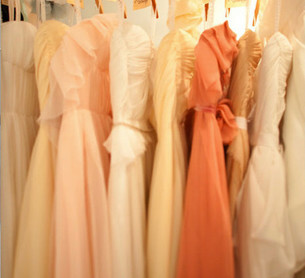 Vintage-esque, timeless, and ethereal....i would love to wear one! How unique and creative. Just beautiful! I stopped by the link and was amazed at all the various projects that the artist does, especially favoring the necklaces. Such talent! I am truly enamoured. What exquisite work! so beautiful! i have been looking for the perfect hair accessory for my upcoming wedding! thanks for the giveaway! Sorry, I left 2 comments! Please disregard this one and another. Thank you! happy new year! cute hair accessories! Oh GOSH. I hardly ever comment on these things, and I NEVER win, but these are so pretty that i'll test my luck. These are gorgeous! Love them!! That necklace is gorgeous! I love the head pieces too! I love the feathered one! What gorgeous hair adornments! Love the necklace too! Beautiful! And oh my goodness, the Liesel hat is so lovely! I absolutely love all of these! So Lovely. Beautiful! Wouldn't they look great in a fall wedding? I would love to wear one of these in my wedding this May. Yay 2011!! Wow. These pieces are outrageous. Beautiful! Those headpieces are beautiful, but necklace really got my heart! So elegant! It's amazing that people have the ability to make such beautiful creations! If only i was as fortunate. these are beautiful! 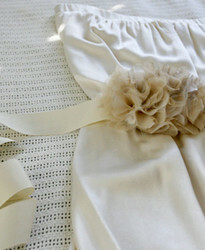 and really in line with what i am going for for my july 30th wedding... shabby, retro chic :) love them all!! GORGEOUS!!!! Any of these would be so beautiful with my dress!! I do love those headpieces!!! they are all so unique! fingers crossed!! Those are amazing! And they're just the right style for my dress. It would break my heart to choose just one i think. These are all gorgeous! 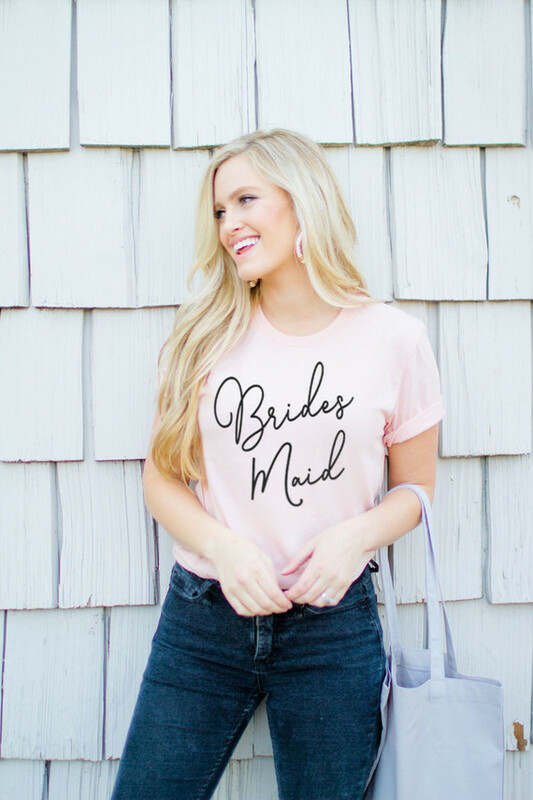 Would love to wear one to my bridal shower in a few weeks. such talent :) heading to their Etsy shop, now! Ooh! I want to win! That necklace! Those headbands! I just love them! Such delightful designs and craftsmanship. Bravo. Such gorgeous design and beautiful craftsmenship a real gem. So pretty! I hope it's my lucky day! Beautiful! I love the fourth one! This makes me happy on a very sleepy monday! Please keep making happy stuff! These are gorgeous! I'm adding this shop immediately to my faves!! happy new year! 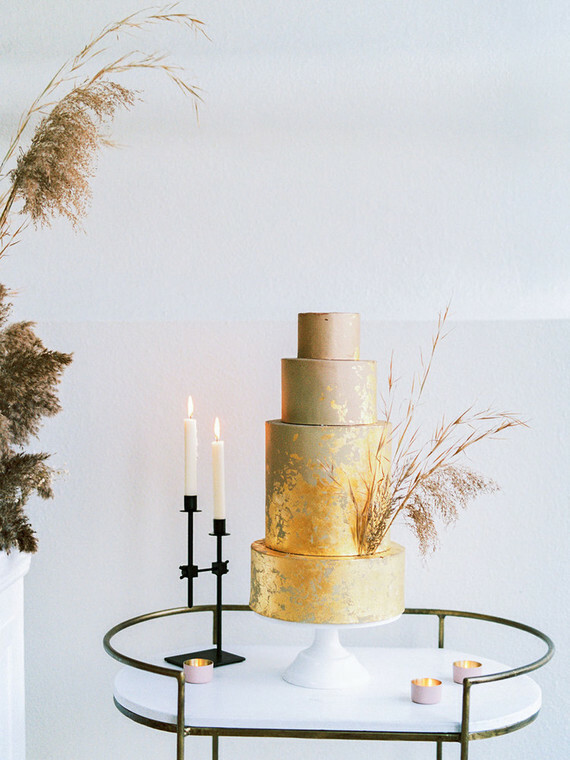 what beautiful pieces to start the new year off right! Oh wow, these are gorgeous!! oh wow!!! these are so beautiful!! any bride would feel like a fairytale wearing any one of these pieces!! Hi! I follow your work since months but I've never posted a comment. In first place congratulations for your blog. I supose because I live in spain I can't participate in the giveaway but I thought it was a good excuse to encourage me to write you. I love crafts and these pieces are so nice that they were good reasons too for writing a comment. Happy New Year! So lovely and ethereal! The details, even just in the photos, look amazing!! These are so beautiful! And I still need something to wear in my hair for our wedding. Amazing! Classic and ethereal. The colors are great. All are so pretty and has that vintage look. So pretty! I love that necklace. If I was talented enough, I would try and make one like it, but because I am not, I will try to win it! Thanks 100 Layer Cake! I would love one of these for our big day in March! ooooo! i love those head pieces...so cool. Those headpieces are beautiful but I LOVE that necklace! Gorgeous! Oh! Oh! Oh! Please pick me! Love this giveaway! I wish I had known about her for my wedding. Her hair pieces are absolutely stunning. I have our secondary shoot coming up from our wedding though, and would lvoe to be wearing one of those! hehe. Hope I win. how gorgeous! the roses are my favorite! How beautiful! Thanks for hosting this, and happy new year! Beautiful! What a romantic addition to a wedding ensemble. Love the headpieces! They are so unique and very cute to match my garden wedding! These are so lovely! Thanks for the giveaway. Ohhh I love these! They are the same pale lovely shades we are using for our farm wedding this June! I'm in love with everything in their shop!! All of these pieces are stunning. So elegant! Everything in their shop is pretty much my favorite! Love Mignonne Handmade- great giveaway! Just beautiful! And I love her shop, too. Thanks for the giveaway and the links. oooohhhh lovely AND yummy! So much attention to detail! Beautiful! They look so delicate. Gorgeous. Any of these would go perfectly with my dress. I love how these pieces are so unique! You can wear them on your wedding day and then many times after!!! So versatle! Love it!!!! Happy New year to you as well. These are great!! I WANT THEM ALL!! They are SO beautiful!! I absolutely adore the first one with the feather. Thanks for sharing these! Beautiful! I'm considering wearing something like this in place of a veil so this would be a wonderful giveaway to win! Love, love, love these pieces! My new short do (that shocked everyone!) needs a great accessory for the big day! Happy New Year! How beautiful & totally unique. I love the added hint of color in an unexpected spot. These pieces are delightful! I love the wearable art and unique ones at that. Adore! Wow these are incredible! I can't believe I hadn't sniffed her out on etsy yet... 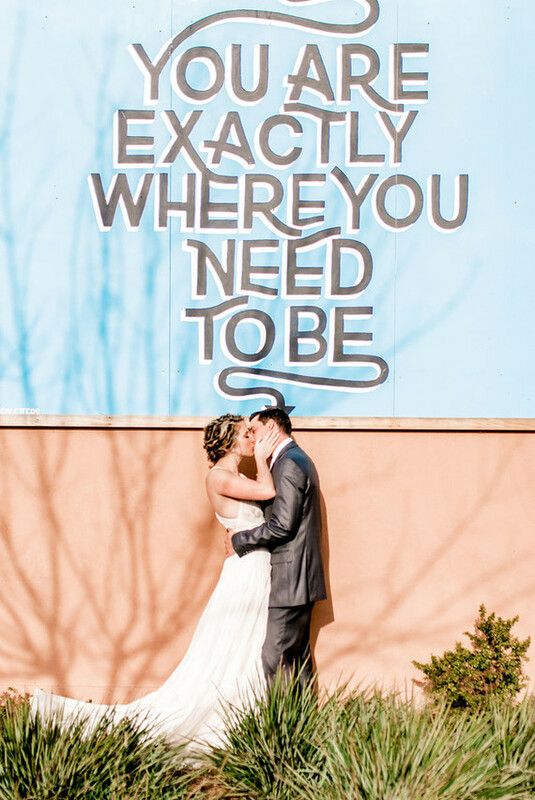 I went over and marked some favorites for our August wedding. Any of the above would be pretty special with my thrift store lace dress! oh my lovely. these are stunning! i would love to adorn one of these pieces. happy new year to all! I LOVE LOVE LOVE her pieces! I've been obsessing about these since I discovered her Etsy store! Happy 2011!! Enchanting pieces, My destination wedding this April will not be complete without one! Oh my. I gasped when I saw these. So beautiful! I have oohed and ahhed over these beautiful pieces numerous times. So nice! Oh WOW -- these pieces are gorgeous!! Oh my. I would LOVE one of these to wear for my wedding and other occasions! I LOVE THESE! Any of them would go perfect with my Maggie Rhianna Royal dress!! AMAZING! Lovely! The large flower clips (on etsy site) are AMAZING. Thank you for the introduction! These pieces are so lovely and detailed and I'm having fun exploring the Etsy shop. Gush Gush Gush - I love these SO much! amazing. 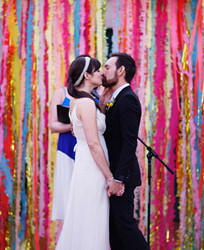 the vintage modern feel is our wedding theme. I ADORE the pieces. Gorge! I'm so in love with the necklace! That hair piece in the bottom right corner is KILLING ME IT'S SO GORGEOUS!!!!!! Great give away! I'm crossing my fingers I win! How beautiful! I've been having a hard time choosing something to wear with my very simple dress. One of these would be lovely (not to mention perfect with my handmade-flower themed wedding...). What talented work! Pick me! I need one of these for my wedding! In awe browsing her etsy site! Beautiful, my fiance would love these! I'm trying my luck at winning one of these pieces that just seem so "right". These pieces are gorgeous! An elegant and romantic accessory. I can't wait to browse the Etsy shop! Wish we had such great designers and giveaways in France as well... Would love to wear the top right headband on my wedding day ! Such amazing pieces! What a wonderful giveaway for the new year! Those are amazing! Beautiful work! absolutely stunning pieces; statements on their own. i am getting married in may of this year in healdsburg, ca and any one of her pieces would be the talk of the town in that setting. i have been looking for a headband as romantic, unique, and gorgeous as this for my wedding!! J'adore. Unique, gorgeous and beautifully crafted. Oh, the work these must take! They are lovely and beautifully crafted. I love these, so classy and unique. Gorgeous! Thanks for hosting this giveaway! How perfect. Incredible work indeed. Happy New Year! I'd love to win!! Really pretty! 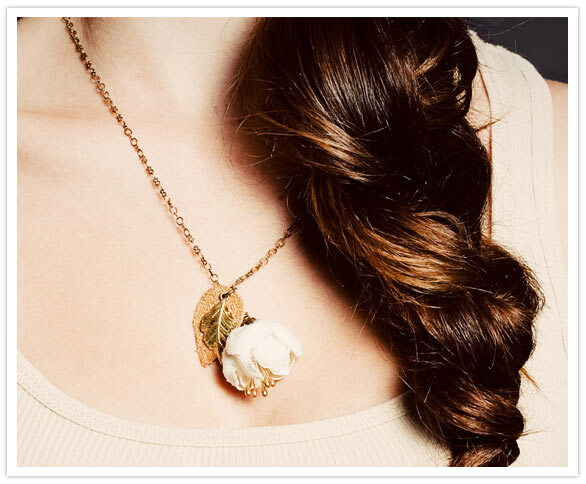 Love the necklace with the feathers! i love these! everything's so beautiful! These head pieces are spectacular! Happy New Year! I have been in love with their etsy shop since it first opened last year....so pretty!! These are absolutely gorgeous! Love that fourth one! so inspired and inspiring!!! :) thanks for sharing! I adore that darling necklace! They are so very beautiful!!!! Love them, Love them, Love them!!!! Beautiful work!! I love them all!! Love the necklace~ Happy New Year! These pieces are heaven! Wowzas!! What a way to start the new year! These are absolutely beautiful, thanks for the chance to win! These are gorgeous! Thanks for showing these. I'm having a hard time finding something for my hair for my wedding. I would love one of these gorgeous pieces! Ahhh i love these!! So Pretty!!! Beautiful! I'm planning to do a flower in my hair instead of a veil for my wedding. These are so pretty! i'm sold on wearing my mother's pearls for my wedding until y'all do these mignonne giveaways, and then i change my mind! love them, they're all so beautiful. Quite stunning pieces. They remind me of the costumes for "A Midsummer's Night Dream" . I can just envision a flock of faeries wearing these beautiful accessories. These are beautiful. I would love to win. I LOVE the one in the bottom right corner! Absolutely stunning! I think it's going to be hard to pick just one! They're all so fabulous! Love how earthy these look! ...Would be so gorgeous for our outdoor wedding in August! Beautiful, amazing, romantic, everything I want my wedding to be! These great accessories would be the best way to top it off! I would DIE to have a piece of her work! Happy 2011! These are incredibly gorgeous! 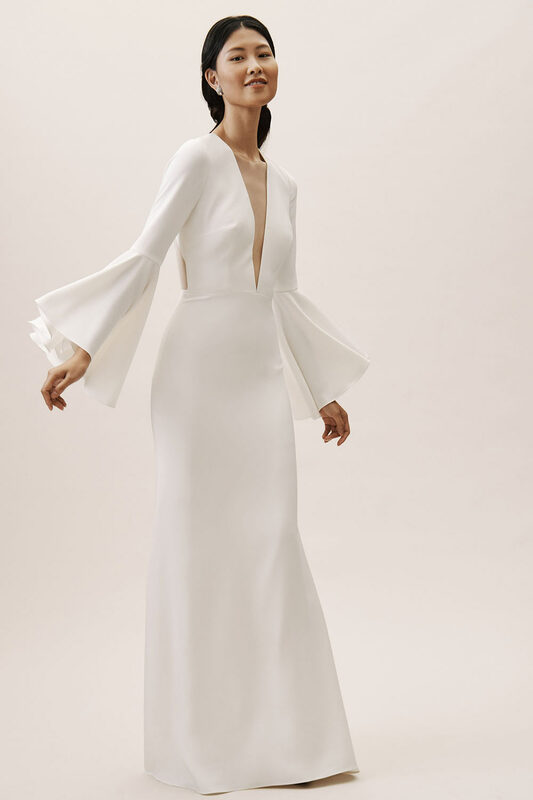 I'm getting married in July and would absolutely love to wear one of her pieces for it! if i could be so lucky!! I'm kind of obsessed with headbands. These are amazing! I love these head pieces... these are so classy and elegant. Thanks for a great giveaway! These are beyond beautiful. I want it all! these are gorgeous! if i won, i would let my cousin pick her favorite to match her vintage/spanish inspired wedding dress that we found last week - and it was actually the first dress she tried on but she knew right away! we weren't able to find the right hair accessorie, so it has now been my job to find different options, and one of these lovely designs would be prefect! Wow! How beautiful these pieces are! Love these...so beautiful & unique! Beautiful beyond explanation! They are all so very lovely! Cheers to a new year! Happy New Year! Beautiful stuff. These are gorgeous! I love all of them!! Can I say it's impossible to choose just one?! 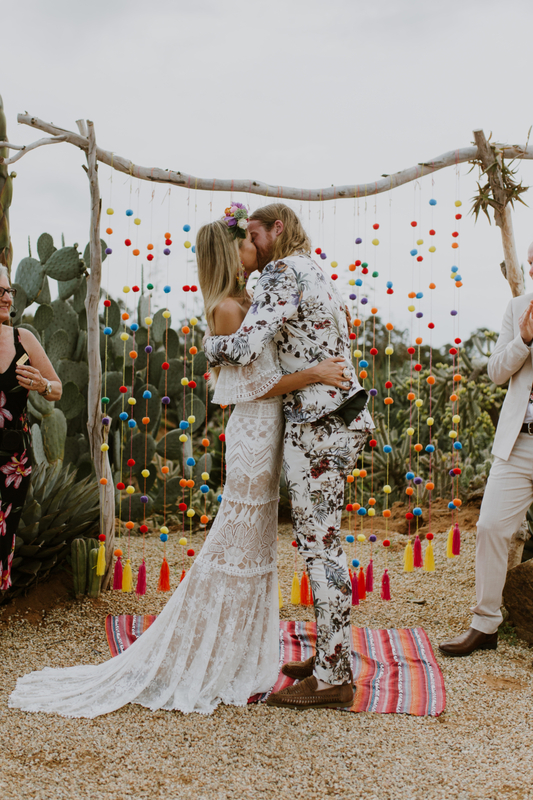 This is the perfect excuse to get two and have a little switch up between ceremony and reception! Lovely. My favorite is the bottom-left hand corner! Ooh, I would love to win!! love that necklace and the rosette headband! so precious. Love, love, love it! Its perfect. These are just so beautiful and unique! I love it. Wow, whoever wins this is a lucky girl!! Lovely! My friend just got engaged and would LOVE this. Oh gosh these are amazing! Its so lovely-a touch of vintage that is just the right amount. Oh, me, please! They are too, too lovely! Dress them up or dress them down...I adore them either way! So lovely. I'm getting married in May and would love one of these!!! I am getting married in November of this year - one of these amazing pieces would absolutely find its way into my wedding ensemble! These are gorgeous! Also that girls hair is pretty rockin too. How sweet of you to start the year with a giveaway! Good karma all year long! These are so unique and beautifully simple. They would definitely enhance the October 2011 wedding I am planning! 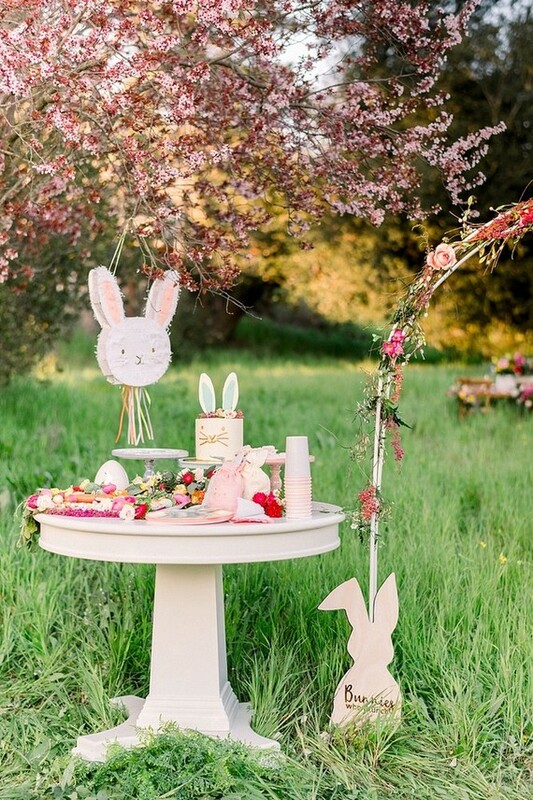 Whimsical and romantic, Mignonne Handmade has the perfect accessories for my vintage themed farm wedding. I'm keeping my fingers crossed!! obsessed with all of these! Going to go check out store now..
love, love love!!!! i want them all!!! beautiful! perfect for my friends upcoming wedding! these are all gorgeous! thanks for sharing! The necklace is sooo lovely. Do want. I adore the Flower Hat in Palette in one. I think it is perfect. These are true works of art! So stunning! Everything is so lovely! thank you for a beautiful giveaway. These are so beautiful! Little works of art. Wow. Stunning! So soft and chic. Ooooh pick me pick me! Pretty please pick me! I need these for my Bridesmaids!! Too Cute! The ivory flowers band is just so sweet. I love that it's handmade! I love the headbands, they make me happy! Gorgeous. It is my secret desire to quit my job and become a milliner. I just got engaged on New Years Eve and this would be a fabulous way to start off the wedding planning! Beautiful stuff!! I really liked looking through her whole etsy shop! i love all the handmade headbands and jewelry! if i won, it would be so hard to pick just one! plus, their models are gorgeous! I love the bottom two head pieces in the group of four photos! Thanks for hosting the giveaway! What gorgeous eye candy to start the New Year right! I love the "Oyster blossom necklace with pearl chain!!" Lovely, would be great to be able to pick a piece! only the prettiest things i have seen yet. so perfect for those dreaming of springtime already. Those are so beautiful! and you can really see the detail that went into each of the pieces! Any of them would look great with a pretty spring dress, love it! I love these gorgeous head pieces! i am in awe of this craftsmanship!! So Pretty! Very beautiful! Happy New Year! so pretty! i would have a hard time choosing just one! Wow - their work is romantic and beautiful. I would love to wear the crown of flowers for our pretty Lake Tahoe ceremony:) Wishinging myself luck! These are all so unique! Woah! Those are stunning. I didn't know about Mignonne Handmade, thanks for spreading the news about them. I'm definitely going for a hair piece for my wedding next August. #2 is my favorite but if I win, I might just convince myself to go a little bolder with #3 or #4! Fingers crossed! Oh, how pretty! I need some sort of headpiece for my wedding. I'd love to win one! On my way to check out her shop! Just delightful...any bride would feel that much more special wearing one of these handcrafted headpieces.. These are delightfully and sumptuously gorgeous. Anna Wintour, take note, these are fantastic. These are so fun and pretty! I especially love the necklace! The handmade necklace is just gorgeous! So dainty! Lovely and affordable! I'm going to shop etsy now! I love their pieces! Thank you for the opportunity to win one - what a dream come true that would be. Stunning! My fingers are crossed! So pretty and girly!!! And this model's gorgeous long hair makes me miss my own long hair (just cut it super short last month!) I'm sure these headpieces would be adorable with a short 'do too! So beautiful! 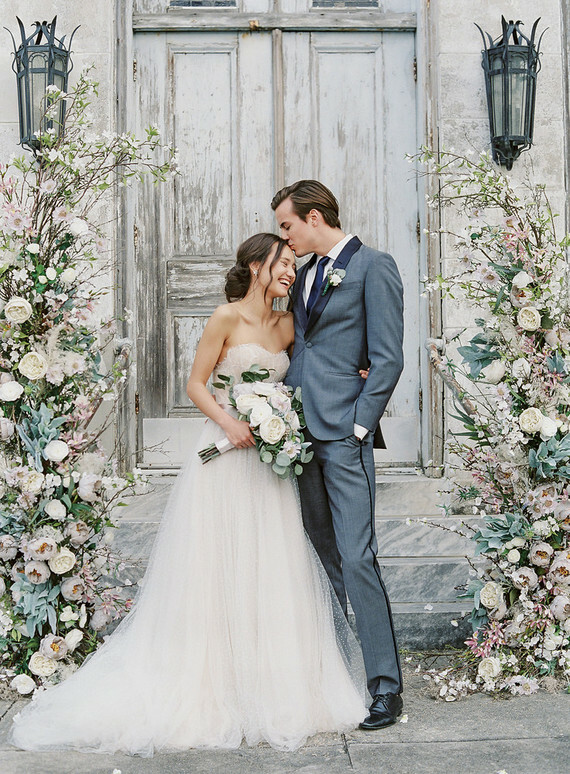 Those flower headpieces are to die for! I'm hoping that this year brings me luck. 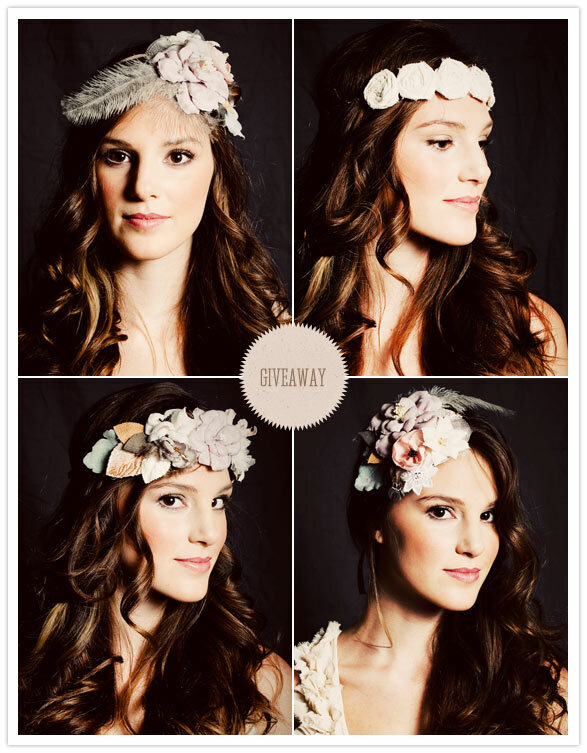 This is an adorable giveaway, the hair accessory is beautiful and would be a great addition to my July 2 wedding!!! Great giveaway! Exquisite! I would love to wear one of those on my wedding day! These are adorable. I love the flower halo. It's absolutely gorg! These are gorgeous! I wanted to make my own headpieces, but now looking at these, how could I not use one of these beauties?! These pieces are absolutely stunning. Keep up the good work! So gorgeous! Happy New Year! Love the headpieces! They're so beautiful and ethereal. would love to give one of these beautiful pieces to my sister for her wedding!! I got engaged over the holiday and would love to rock one of these at my wedding later this year. wahoooo! i LOVE the angela! so sweet. Lovely - the necklace would be great for my future sister in law! I'd be happy to win any of these very lovely pieces! Fingers crossed! Wow! I checked out the shop and I can't pick a favorite now! Stunning, original pieces. What beautiful, unique, pieces. Thanks for featuring! wow, how beautiful. what a great giveaway! beautiful.. wouldn't know what to pick! Does a Vintage Milliner work better then a modern one? Oh wait...there is no milliner but a vintage one. I love these!! SOOO cute! Oh my goodness, they are all incredible! So pretty! Wow these are perfectly precious in every way, she is a true artist! These are all so amazing! I am dying for them all! Happy New Year ladies! I am totally loving all of these pieces, especially the charming necklace! I love these! they would look great with my nature themed wedding! Wow, everything is so gorgous! I would love to own one of these pieces. But how does one choose??? They are all so very lovely. Those headbands are super cute! These are beautiful! Happy New Year. What lovely pieces! They look wonderfully well made! Gorgeous! Awww i love them!, I'm getting married in july and i have been eyeing them for months! such pretty things! These are beautiful pieces. I do especially love the necklace pictured. i am currently planning a wedding and one of these hair pieces would look WODERFUL on my big day! That necklace would look perfect on my MOH! I still need a headpiece, these are gorgeous! I love these amazing headpieces. They are so beautiful and would love to wear one on my big day. They are super elegant and classy and of course, unique. these are so beautiful! I would have such a hard time picking one! Gorgeous pieces! Happy 2011, indeed! Those colors are just lovely! What a perfect combination. What beautifully, romantic works of art! I'd love to wear one!!! Love Love Love the headbands! I want one! I just started planning and saw these ~ pure inspiration! Eeek these are all so pretty! I'm keeping my fingers crossed! My goodness, what delightful pieces! These are so amazing! Simply gorgeous! gah! A lady with short hair (me!) could really use those to sass up her look. Would love to wear one of those in my June '11 wedding! Ahhhh! I've been swooning over these for ages! I would love, love to wear one! So delicate, yet ornate. I love them! so beautiful!! i'd love the chance to win! I love all of these, the "by hand" work truly shines through and makes all her work so lovely! Oh my goodness, please let it be me! One of those headpieces is exactly what I've been trying to make for my own wedding coming up! What a great start to the new year! So beautiful. WOW...sooo pretty!! Such great talent makes me happy! What a wonderful way to ring in the New Year! I would looove any of these pieces. so pretty!! Love the one on the top left with the feather! Wow, the work that must go into each and every piece is incredible. I'm particularly partial to the necklace... Wear it before the wedding, during the wedding and for many years after the wedding! I simply LOVE the headpieces! We are looking for bridesmaid dresses in exactly that color scheme, so these headpieces would go perfectly with them! 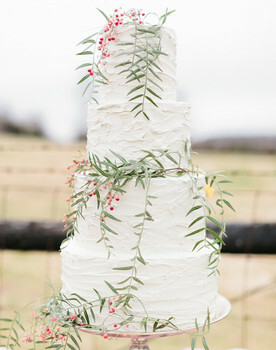 So simple, natural and whimsical. These are gorgeous. I would love to have one of the head pieces for my wedding this year! incredible works of art. just beautiful. Love these! They have a great vintage feel, and the hairpieces remind me of the one I wore at my wedding! Happy New Year 100 layers! These headpieces are gorgeous, and if you can't do it on your wedding day, when can you? Here is hoping the new year starts out right......each one of her peices are just beautiful....and i hope one ends up in my hands. These are just too cute! I would love anything in the collection. Fingers crossed. Just what I'm looking for to spruce up my dress for an outdoor wedding. I'm in love with these wonderful pieces! Fingers crossed! Absolutely stunning and so timeless. I'm not getting married anytime soon, but I like what I see. I randomly read this blog and I hope I'm randomly picked. These are very nice and elegant. Bling is way overrated. reminds me of what john muir's wife, louisa, would have worn <3. absolutely lovely pieces! That necklace is pretty unbelievable. Gorgeous! I love the pieces, they're gorgeous! Those are so pretty! I love the necklace. Very pretty! Particularly the jewelry! how pretty! i love the name instantly makes you happy! Just got engaged last week! I'd love to show off a hair piece for my engagement party! Perfect for my outdoor wedding in May, so lovely! Those hairpieces are so magical! I love them! just surfed over to her site - it's delicious and I love that one design is called "Flower halo!" All of these pieces are gorgeous! I'd be thrilled to win any one of them. I just got engaged last week and these are beautiful! I could see myself wearing one! So so beautiful! I love every single one of them! Beautiful! I hope I get lucky! GORGEOUS GORGEOUS GORGEOUS! All are stunning, romantic pieces. Love it! Amazing! She is so talented! Love the feather one! I want!!!! These are just gorgeous and obviously well-made. The winners will be very lucky. very vintage-chic! adorably delicate and fem. love it! I love them all! So wonderful. these are STUNNING. absolutely gorgeous. I just JUST got engaged! pick me!! How nice! I would love some of these items. Have a great day. By the way....I love this site. Wow, these are pretty awesome. I am getting hitched this upcoming year, this would be perfect. Each piece is so unique yet would match any style bride! Keep up the gorgeous work! 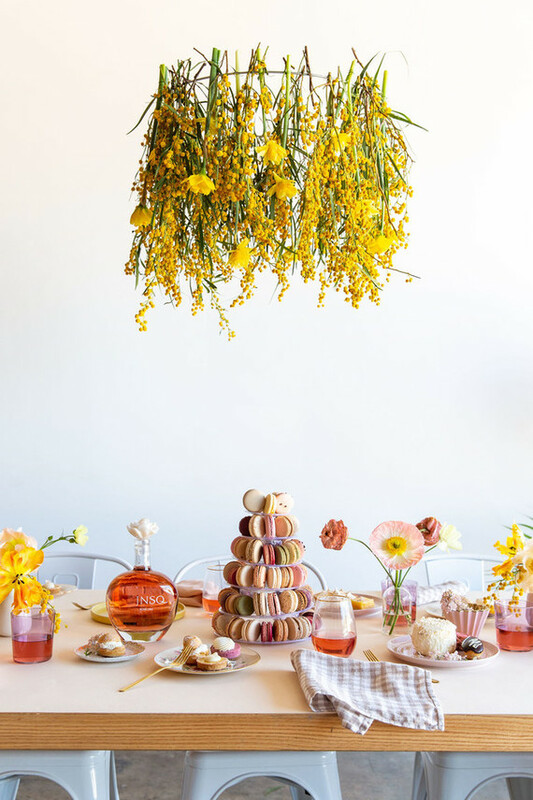 So whimsical and so fun! I love them all! Holy Moly! These are sooo pretty and romantic! So pretty! And I'm hunting for a hairpiece for my wedding in March! So delicate and romantic, love them! Love these! Just got engaged and would be so excited to sport one at my wedding! Oh my god, these are exactly what I've been looking for for my wedding! Sooo divine!! Thank you mommy for showing me these! These are incredibly lovely and would go great with my wedding dress! Amazing headpieces! Would love to win one for a friend's wedding! Bellissima!!! Would go so great with my May wedding. Happy 2011 100 Layer Cake! The model looks like Katherine McPhee ;-) They are absolutely delicate and beautiful! 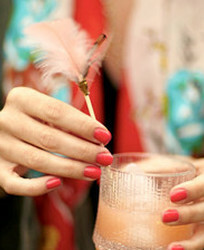 Don't like pink in general, but love her pink pieces - so delicate. What realistic delicate pieces. Those flowers are so lovely. these things are all SO beautiful!! I really love these pieces! I really enjoy the combination of flowers & feathers! Beautiful stuff! I read your blog every day, thank you for the beautiful work! These are the most realistic headpieces I've seen - amazing craftsmanship! Particularly like the one in the top left with the feather. These pieces are all so beautiful! I would love to wear one of these for my wedding day in May! sooo beautiful! i lovee. i want. The pieces look so simple, yet intricate. I love how detailed they are, yet I feel I could put a lot of the pieces with so many different outfits. So fun and unique. Love the colors. The ivory knot headband is so delicate and beautiful! Thanks! oooh, so pretty. i'm dreaming of something like this to set off a big chignon for my wedding this august..
Gorgeous handy work, wedding perfect! holy moly me oh my, those are cute!!!!! WOW these are just stunning!! bohemian AND glamorous! i would love to don one of these romantic crowns for my garden wedding!!! Love them all, but REALLY love the necklace! Happy New Year! Thank you for sharing. these are darling, every piece! such detail and grace about each hair decoration, as well as the necklace. i would be a very lucky person to win such a priceless gift. Each one makes me so glad I cut my hair short for the first time so I can wear adorable hair accessories more successfully! 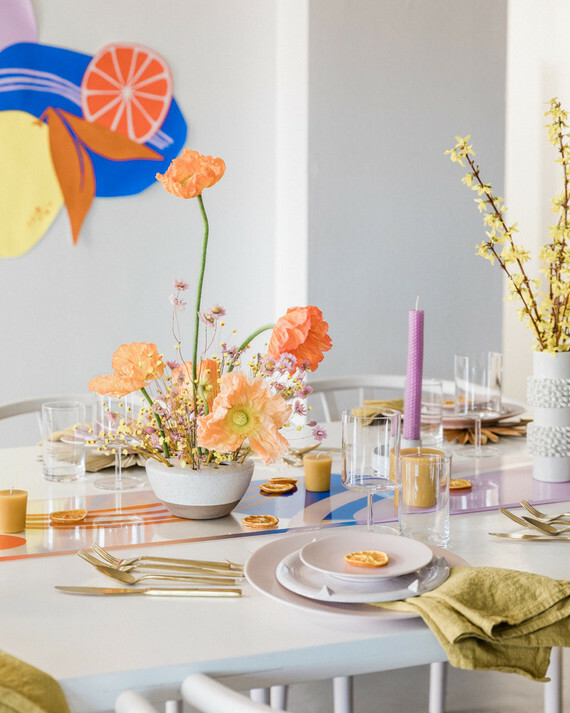 What a fun way to add some life to the party! Wow, these are gorgeous, so perfect for my wedding in April.... Holding thumbs!!! AAAAMAZINGLY Beautiful and original - anyone would feel special wearing one of these! fingers crossed it will be me! These pieces are so gorgeous! It would make you feel fabulous to be able to wear one... I would love that opportunity! Absolutely gorgeous! I have a certain bride-to-be who would look even more beautiful (which is hard to do) in one of these! She is so talented! Love her work and these pieces! So lovely! whoever wins is very lucky! What beautiful pieces! I would be one lucky girl if I were to win!! Beautiful, really beautiful, I love the necklace, so sweet and feminine. Wow, the talent of some people just leave me breathless! What I wouldn't give to be so crafty! Kudos to Mignonne Handmade for this lovely offer. I'll definitely be passing this giveway along to my other engaged friends. Happy New Year! Oh my this is just so beautiful! These are amazing! Might wear one to my wedding this year...!! Oh my, the necklace is so beautiful! I love these! Especially the one on the bottom left! SO PRETTY! Even if I don't win I'm glad I've found out about them! That necklace is stunning. Her work is divine. These headpieces are so beautiful! I love the soft grey,pink, blue combo. Oh, my, what a beautiful necklace! These are incredibly beautiful!! Hoping I get picked!! Amazing! These would be an amazing accesory for my brothers wedding. these are beautiful beautiful beautiful. What amazing artwork!!! It's crazy how one can create something like this! Thanks for the chance to win and introducing such an amazing artist! Wowzers. These are beautiful pieces of work. WOW so beautiful. I'd love one, but I think I might spoil it! Would have to give it to my beautiful friend to cheer her up after losing her cat recently. JUST got engaged and came across your site looking for inspiration. These are BEAUTIFUL! Absolutely gorgeous works of art. Some lady is going to be really lucky to win one of these pieces. Everyone should buy one regardless! The handcrafted detail in these beautiful pieces is so completely unique and lovely. What talent! These are gorgeous! I would love to win one of her items for my wedding! pick me!!! pick me!!! they are tres chic! These are so beautiful! I love them all, and would be absolutely thrilled to have any of them in my wedding. i've been a long time reader but this is the first time i can comment as a bride-to-be! congrats to the winner! One of my favorite designers! Such beautiful work. I hope I win!!!! i'm obsessed with her rosette halo headband. happy new year! these pieces are beautiful, such whimsy! So feminine and lovely! Out with the veils and in with the flowers...count me in! am crushing on that necklace.... HARD. Insanely gorgeous head pieces! In love. Every lady wants to feel lovely, especially on their wedding day! I would love to wear one of these lovely pieces on my special day later this year! These are gorgeous! Just love them! I'm not gonna lie...I would mud wrestle at least 643 other commenters for one of these beautiful pieces! Wow! The necklace is amazing! Thanks for the chance to win, guys! Wow, these are stunning! I love her intricate detail work. wow - these are lovely! my favorite is leah. very simple and oh so pretty! wow! such prettiness. hope im not too late. Wow how beautiful? I hope I win- I'm getting married in May and the band of white flowers in the 2nd photo looks excatly like the strap detail on my dress!!! Awesome giveaway :*) Happy NY!! Oh my, thanks so much for the chance! these are amazing! Such an appreciate for the patience this takes :) Happy New Year, all! Precious. One would go perfect with my whimsical gown. This is absolutely gorgeous! Beautiful...just beautiful! Thank you for your wonderful wedding ideas and this wonderful opportunity ! These pieces are amazing. I'm having a vintage wedding and they would go perfect wiht the look I'm going for! 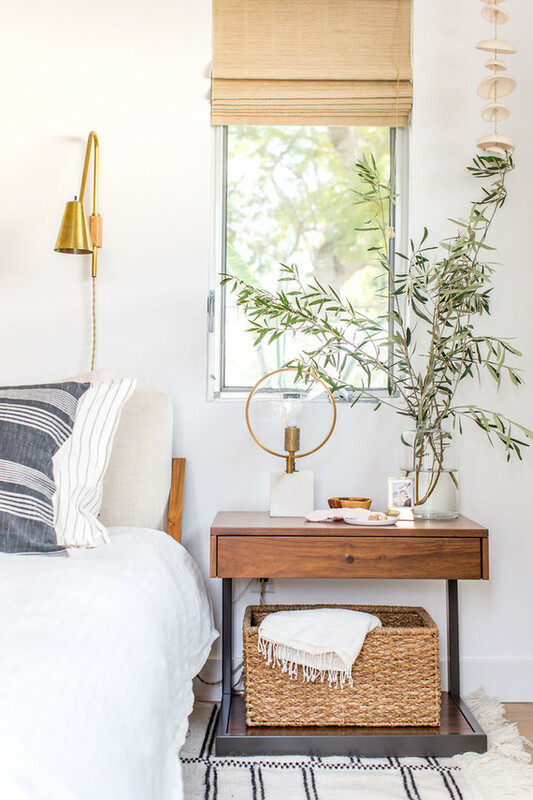 Beautiful- it's so nice to find a blog featuring indie and diy designs! One of these stunning designs could even take hair as tragic as mine and transform it into something magical! 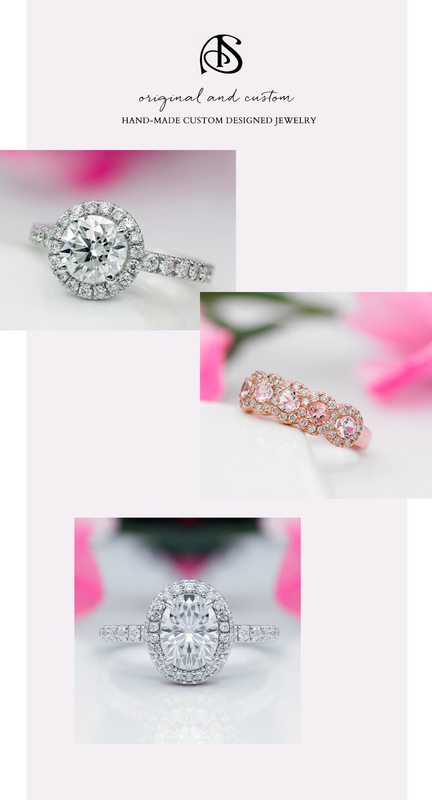 I'm getting married this year and would love to win one of these pieces to wear! Fabulous design. Want in now! I LOVE these! 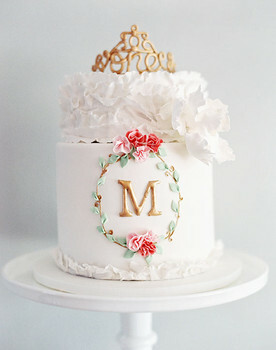 So beautiful and perfect for a vintage style wedding! I love your hair pieces. I woul love to wear one on my wedding in October. Beautiful! Would love to wear on my wedding day! I have been surfing online more than 3 hours today, yet I never found any interesting article like yours Giveaway with Mignonne Handmade | Giveaway + Contest, Sponsored Post, Wedding Wardrobe | 100 Layer Cake. It is pretty worth enough for me. In my opinion, if all website owners and bloggers made good content as you did, the web will be much more useful than ever before. The best is always to let them evolve at home and wait for right moment to shoot. Increasing the ISO will allow a greater shutter speed to be used in order to stop the movement with the subject. Whenever he went in the countryside to shoot new pictures, he usually stopped at various art and gift shops along the way to obtain new wholesale and retail orders for his picture business.